Twelve-year-old Nadia is much like any other preteen girl: she loves doing her nails and following the lives of television and pop music stars. Unlike most girls her age, Nadia is coming of age while a civil war rages inside her country of Syria. When the conflict arrives in her home city of Aleppo, her family makes a desperate attempt to flee and reunite with her father and uncles in a safer place. When a bomb explodes and separates Nadia from her family, she wakes up alone and unsure how to find the planned rendezvous location. Setting out alone, she happens upon a mysterious old man and his donkey. Although Nadia can’t completely trust her newfound companion, she needs him to help her find her family and escape Aleppo to a new life in Turkey. Escape from Aleppo is a powerful story based on current events that reveals the complicated and dangerous situation in Syria, and the effects of the war on its citizens. 1. From the first page of Escape from Aleppo, the author uses sensory language to describe the atmosphere of violence and destruction in the Syrian city. As you read, place sticky notes on sections that create sensory imagery via descriptive language. Spend time discussing how the language brings the story to life. 2. 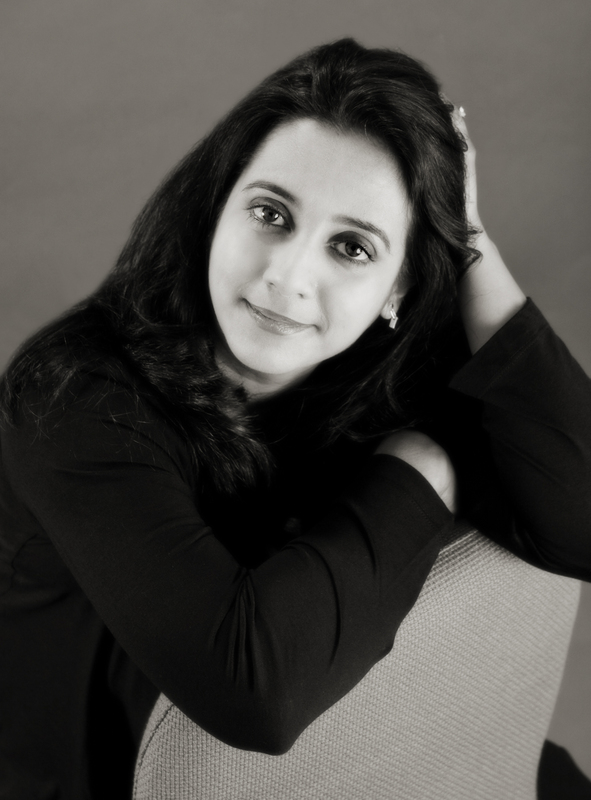 Throughout the story, Nadia is gripped by anxiety. Discuss the meaning of the word and how Nadia copes with her feelings of fear and dread as she makes her way to the border between Syria and Turkey. 3. After Nadia realizes that her family has left her behind, she feels a deep sense of anger and betrayal, followed by a voice inside her head that says: “Get a hold of yourself. This is no time to fall apart. You must find the others.” How does this internal dialogue propel the story forward? What does it tell you about Nadia’s character? As other examples of Nadia’s internal dialogue appear in the text, stop and think about these two questions. Come back to these questions in a class discussion after students have finished the book. 4. Nadia witnesses a “sprawling park where a dozen rowdy kids roamed with joyful abandon.” Nadia is “perplexed” and wonders how “they could be playing, in the middle of a war zone.” Why do you think these kids are able to play so freely? How does this scene remind you of other times you’ve seen kids playing in a park? How is it different? 5. Memory is an important theme in Escape from Aleppo. How do Nadia’s memories of life before the war help her persevere in her quest to find her family? 6. Discuss the role of social media, such as Facebook and Twitter, in the various Middle Eastern uprisings mentioned in the story. How can social media help to reveal the truth about authoritarian regimes? How can this openness also be used against those people who seek to overthrow such governments? 7. Nadia discovers Ammo Mazan in an abandoned pharmacy. After he agrees to help Nadia find the dentist’s office, they enter into an uneasy partnership in which Nadia must weigh her need to find her family versus her feelings of mistrust for Ammo Mazan. As you read, stop and discuss instances where Nadia must decide whether or not to trust the old man. 9. Ammo Mazan sings a song about the beauty in a donkey: heroic heart, stubbornness, and intellect behind long-lashed eyes. How can these qualities be considered beautiful? How does Nadia’s definition of beauty change over the course of the story? How are her fingernails a metaphor for the change she undergoes over the course of the text? When she notices her chipped polish, she realizes she no longer cares about the appearance of her nails. Why? 10. Nadia is anxious to get to her family, but Ammo Mazan keeps delaying her quest to take care of his own business. She realizes that she “had to be patient, a virtue she was unfamiliar with.” What is a virtue, and why is patience considered one? Give examples of how you demonstrate patience in your daily life. 11. Ammo Mazan laments, “‘Thugs, our country has been overrun by ruthless thugs. From every side.’” Discuss the meanings of the words ruthless and thug. Cite examples from the book that illustrate Ammo Mazan’s statement. Brainstorm synonyms for these two words, and offer examples of thuggery. How are bullies and thugs similar? 12. Nadia realizes that Ammo Mazan has been working to save and preserve Syria’s precious books. Discuss Professor Laila Safi’s statement: “‘My young soldiers, this is a place where we are fighting a great battle.’” How is preserving cultural artifacts a battle? Why is it important to save such artifacts and landmarks? Other than the physical objects, what else is lost when cultural artifacts and landmarks are destroyed? 13. Discuss the meaning of the term ethnic cleansing. In the mind of an authoritarian leader, what is to be gained by committing such crimes against humanity? The author describes the Tunisian people as “throwing off the shackles of fear” and rising up “with demands for aysh, hurriya, karama, adala ijtima′ia — bread, freedom, dignity, and social justice — and [beginning] a revolution.” What is meant by “shackles of fear”? What is social justice? Discuss examples of social justice at work in the United States and other countries around the world. 14. Strength is another theme that appears throughout Escape from Aleppo. How does Nadia exhibit physical and emotional strength? How does her empathy for Basel encourage her strength in the darkest of moments? What is resolve? How does Nadia’s strength and determination fuel her resolve? 15. Ammo Mazan gives Nadia the treasured copy of Alef Layla, One Thousand and One Nights, and says to her, “‘I believe you have need of this more than a dusty old library or museum shelf does.’” What does Ammo Mazan mean by this statement? How do the stories contained in the book, such as “The Seven Voyages of Sinbad the Sailor” and “Aladdin’s Wonderful Lamp,” inspire Nadia to continue on? How is she like the story’s heroine, Scheherazade? 16. When Nadia, Ammo Mazan, and the others come upon a group of journalists, Ammo Mazan says to Ayman, “‘We need people like you, to tell the truth of what is happening here.’” How are journalists who work in dangerous, war-torn regions heroic? Why do Assad and other dictators like him seek to control the news and stop journalists from doing their work? 17. Tarek is a student of the Quran, Islam’s central holy book. In a conversation between Nadia, Ammo Mazan, Basel, and Tarek, Ammo Mazan points out that all people have “‘been given free will to make choices on how we live our lives, and how we use the blessings given to us.’” He also says, “‘It’s in our hands, my dear. Always in our hands . . . to choose mercy and compassion, or be lost in a sea of humanity.’” What is free will? How does Nadia show mercy and compassion? How does the Assad regime demonstrate the opposite of mercy and compassion for the Syrian people? 18. Early in the story, Nadia’s algebra teacher, Ms. Darwish, gives her a silver pin as a token of her belief in Nadia’s potential and to reflect the idea of unlimited possibilities. After Ammo Mazan is attacked and Jamila taken, Nadia grips her silver pin and expects panic to embrace her. Instead, she “felt a strange sense of calm settle over her.” How does the pin symbolize Nadia’s growth over the course of the story? What has she been able to accomplish in only a few short days that she never would have imagined being able to do before she set out to find her family? 19. Discuss the scene where Nadia confronts Ammo Mazan about his real identity. Why does Nadia feel a sense of betrayal, even after everything Ammo Mazan has done to help her and the boys? What does Ammo Mazan mean when he says to Nadia, “‘All the people who need to know, know who I am. They understand who I was and who I became—a product of the choices I’ve made in life.’” How do our choices affect the outcome of our lives, for better or for worse? 20. On the book’s final page, as Nadia and the boys approach the Turkish border crossing, she catches sight of a bald man “wearing a bulky olive-green coat that matched the cap on her head.” Predict what will happen next and over the course of the next week for Nadia, Tarek, and Basel. 1. Much has changed for Nadia since the beginning of the civil war. Have students create a Venn diagram illustrating Nadia's life before and after the Arab Spring, and what has remained a constant (her love for her family, etc). 2. The Middle East is one of the most volatile areas in the world, yet most young people are not familiar with the many countries that make up its geography. Print a map of the Middle East and have students consult an atlas or online research tools to identify the countries mentioned in Escape from Aleppo. Once these have been identified, trace Nadia’s journey on the map. 3. Throughout the story, Nadia reads from Alef Layla, One Thousand and One Nights. Over the course of reading Escape from Aleppo, spend time each day reading aloud from this classic text. 4. The Syrian civil war has resulted in one of the worst refugee crises in history. Work with students to research the plight of Syrian refugees and how the world has responded to help these people. 5. Nadia and Basel come across an art installation of CDs “strung between the buildings and spelling out Art Is Peace.” Discuss the meaning of this phrase. Give students time to create an original work of art incorporating the same theme, Art Is Peace. Senzai (Ticket to India, 2015, etc.) 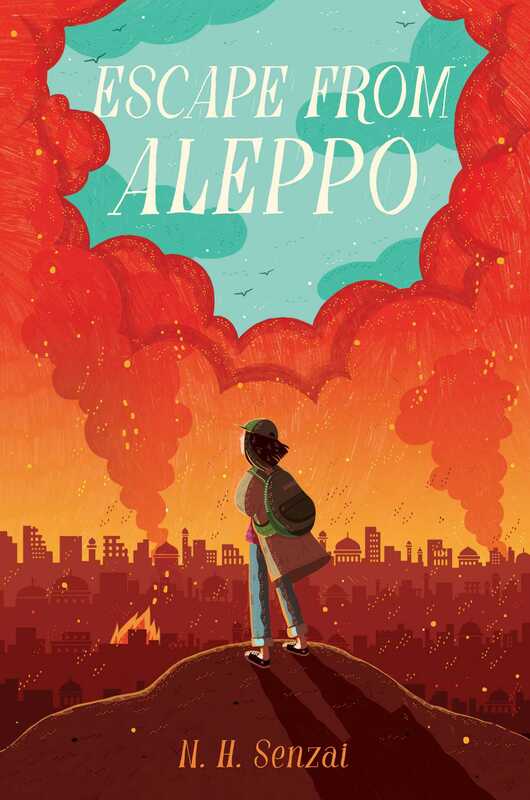 tells the story of 14-year-old Nadia's narrow escape from the ancient city of Aleppo in war-torn Syria as she desperately seeks her family, who accidentally left her behind.Two years into Syria's civil war, the many armed rebel groups and the government forces are descending on Aleppo. Traumatized since her bomb injury, Nadia is pulled from under her bed as her family prepares to leave their home for a safer place. Although a relative has been assigned to monitor her, another bomb falls as they are exiting, and in the confusion, Nadia is left behind. Now she must recover from the shock and rely on her instincts, a seemingly kind old man she meets, and, ultimately, her own intelligence to make it out of Aleppo alive and find her family at the Turkish border. . . . [A] valuable introduction to the issues plaguing modern Syria and the costs of war in historically rich locales. Filled with kindness and hope, but also with the harsh realities of the horrors of war, this heartbreaking book is a necessary reminder of what many people live through every day. The representation of a young protagonist from Syria makes this a solid purchase for middle grade collections. Senzai (Ticket to India) crafts a harrowing novel about a 14-year-old girl’s flight from war-torn Syria in 2013 that captures the reality of the conflict while illuminating the culture and history of the country. . . . [T]he novel’s taut pacing and memorable heroine result in a gripping and intense story of the traumas inflicted on Syria’s citizens.